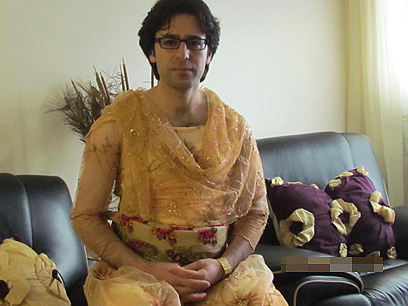 Iran's creative penal policy: The Kurdish news agency in Iran, NNSROJ, reported last week of a controversial punishment in the Islamic Republic's Kurdish district where security forces punished a criminal by dressing him in women's clothes. Last Monday, they led him in a procession throughout the city of Mehran, dressed in traditional Kurdish garb in an attempt to publicly humiliate him. The unusual punishment sparked a protest which spread from the street to the parliament. The Al-Arabiya network reported that this in not the first time the Mehran court has decided to use this form of punishment on convicts. 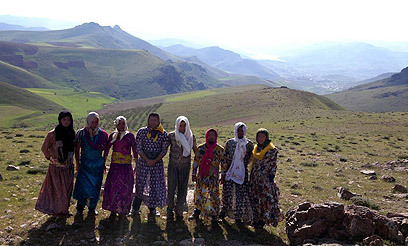 The move soon caught the attention of the Feminist Kurdish Union in Iran. The next day more than 100 women and men demonstrated in the city in protest of the incident. The women took to the streets in their traditional red garb and protested against the punishments they described as humiliating. They also called to denounce "the insulting policy" towards Iran's Kurdish community in general. The opposition-affiliated site International Campaign for Human Rights in Iran reported of an announcement by a "human rights activist" in the city that the women demonstrating were assaulted by security forces who used pepper spray and bludgeons. Some of them sustained injuries. He also said that the man forced to wear women's clothing was convicted for involvement in a brawl and for drawing a knife. The punishment sparked a colorful protest on Facebook. The protestors opened a page called “Being a woman is not humiliating and should not be considered punishment." It has thus far received 6,000 likes. Male surfers in Iran and outside it posted photos of themselves in women's bathing suits to the page while a number of women did the same with men's clothes. Causing such a stir, the demonstration made it all the way to parliament. The France 24 site reported that 17 MPs signed a letter sent to the Justice Ministry and condemned the punishment as "humiliating towards Muslim women." The site also quoted Hiwa, a protester who lives in Mehran: "The residents of Mehran frequently struggle for their rights, more than in other cities in Iran. I think that is thanks to the university in Mehran, whose students are quite active. "As far as I remember, this is the first time in Iran that a man was led in the streets in women's clothes. I think that it is not a coincidence that this happened in Mehran actually, rather this is a way to try to intimidate the population considered undisciplined. But this totally blew up in their faces." 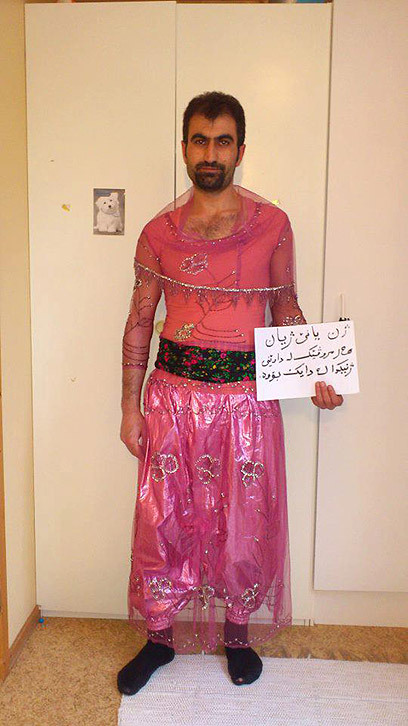 See all talkbacks "Iran uses cross-dressing as punishment"